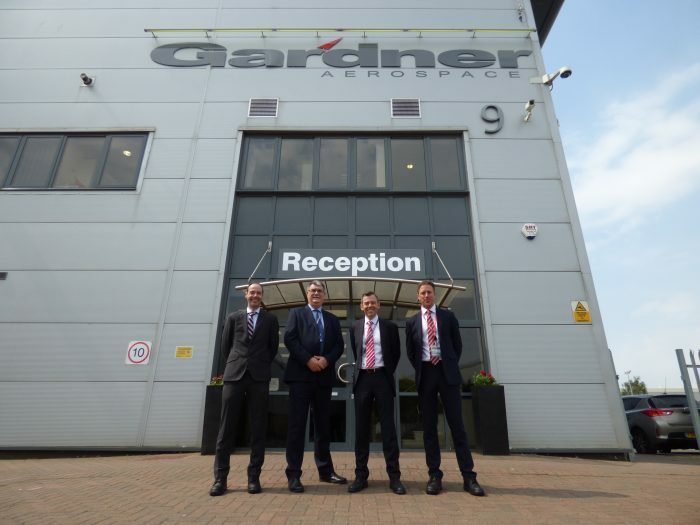 Gardner Aerospace, one of the aerospace industry’s largest suppliers of aircraft components, has agreed a new £90m bi-lateral funding package with NatWest. Gardner opted for an innovative asset based lending (£60m all asset) and combined term loan (£30m) structure to support their acquisition of precision parts specialist Northern Aerospace and to provide further capital for continued growth and expansion of the company. Headquartered in Victory Park, Derby, Gardner has a number of manufacturing sites in the UK (Derby, Basildon, Broughton, Hull and Pershore) as well as an increasing global footprint that includes Poland, France, India and China. The acquisition of Northern Aerospace adds 600 employees and six further UK and Poland locations to their portfolio. Tony Upton, CFO at Gardner, said: “The UK aerospace sector has significant opportunities to grow in line with expected production rate rises, but also huge potential for supplementary growth from newer markets such as China. It is clear that the OEMs are looking at their supply chains for both existing / legacy production and also localised production in new geographies and in this regard, Gardner is well positioned to deliver best in class manufacturing. Andrew Garvey, Director, Industrials & Aerospace at NatWest, said: “Gardner’s impressive growth trajectory shows that a UK manufacturer can compete and thrive in the global aerospace market and NatWest is pleased to back its expansion plans. Paul Noel, Director of Asset Backed Lending, Structured Finance at NatWest, said: “We have been working with Gardner for a number of years and have developed a great track record of collaborating around M&A and in supporting the needs of the group. Gardner is a highly rated and valued supplier to the majority of global aerospace primes and they consistently demonstrate success through contract wins and new work packages on new airframes.